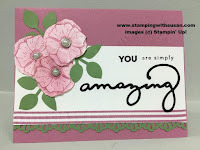 Here is another card I made using the Painted Seasons stamp set. I wanted bright colors so I chose Melon Mambo, Mango Melody and Granny Apple Green. 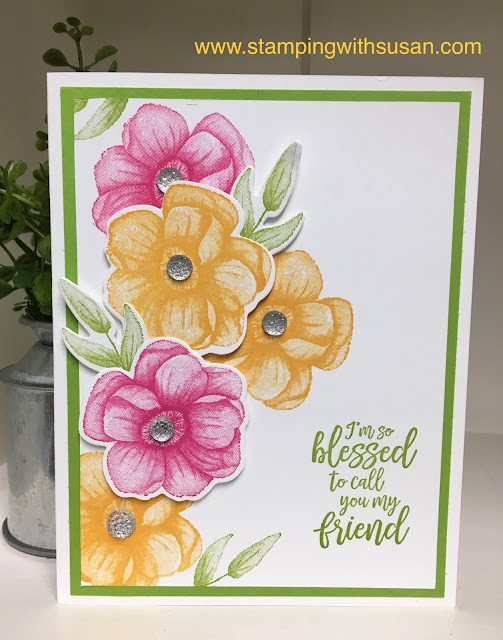 If you get this Sale-A-Bration Second Release Bundle, you can also purchase the coordinating Four Seasons Framelits Dies during the month of March. Something for every season....you just can't go wrong with this bundle and framelits dies.